A scene from Wagner's "Parsifal." 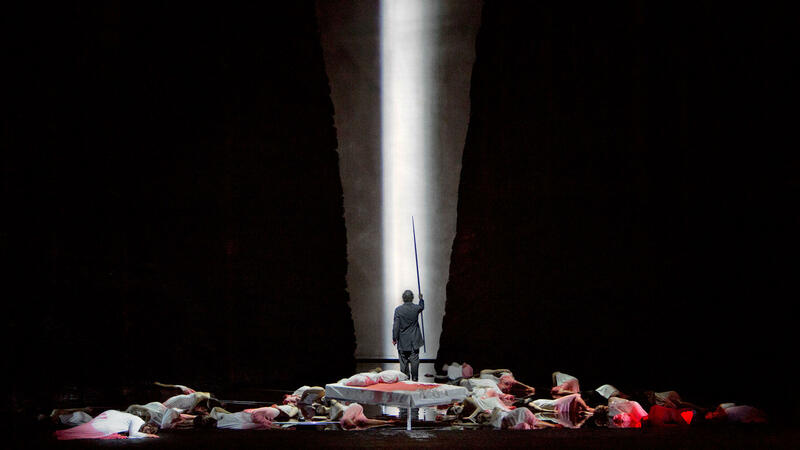 Sat., Feb. 17 at 1pm on WKAR Radio 90.5 FM | Wagner’s final opera is a musical journey unlike any other. The opera tells the tale of a young man who is destined to renew a brotherhood of knights charged with guarding the relics of Christ’s last days. The psychological, mythical, and mystical possibilities of such a story are obvious, and Wagner’s accomplishment results in an air of reverence that surrounds this piece. Richard Wagner (1813–1883) was the complex, controversial creator of music-drama masterpieces that stand at the center of today’s operatic repertory. Born in Leipzig, Germany, he was an artistic revolutionary who reimagined every supposition about music and theater. Saturdays Dec. 2, 2017-May 5, 2018 on The Toll Brothers-Metropolitan Opera International Radio Network. The Metropolitan Opera broadcast season is sponsored by Toll Brothers, America's luxury home builder, with generous long-term support from the Annenberg Foundation and the Vincent A. Stabile Endowment for Broadcast Media. Contents of the broadcast are copyrighted by The Metropolitan Opera, all rights are reserved, and any use or reproduction of any of the material therein without permission of The Metropolitan Opera is strictly prohibited and will be prosecuted.